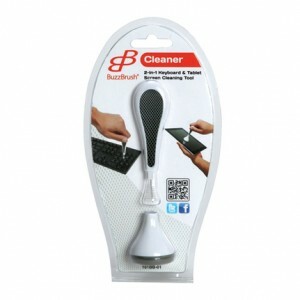 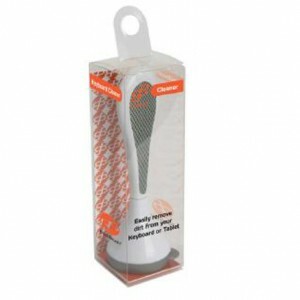 BuzzBrush® is a unique 2 in 1 computer cleaning tool designed to easily get in-between the keys of a computer keyboard to remove lint, dust and food particles, as well as clean any LCD screen. 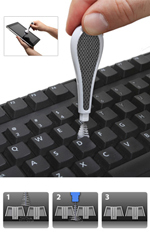 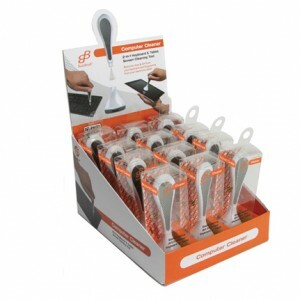 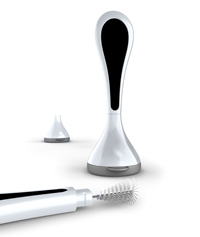 While current computer keyboard cleaners on the market offer tools with brushes, the bristle technology on the BuzzBrush® is strategically designed to flex in-between the keyboard keys, and then expand out to reach under the keys. 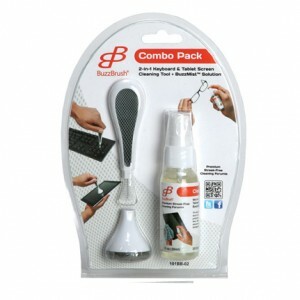 In addition, the base incorporates a microfiber screen cleaning material that is designed to clean the computer screen, Smartphones, and any touch screen device with even pressure.